Sports media has been my passion for as long as I can remember. 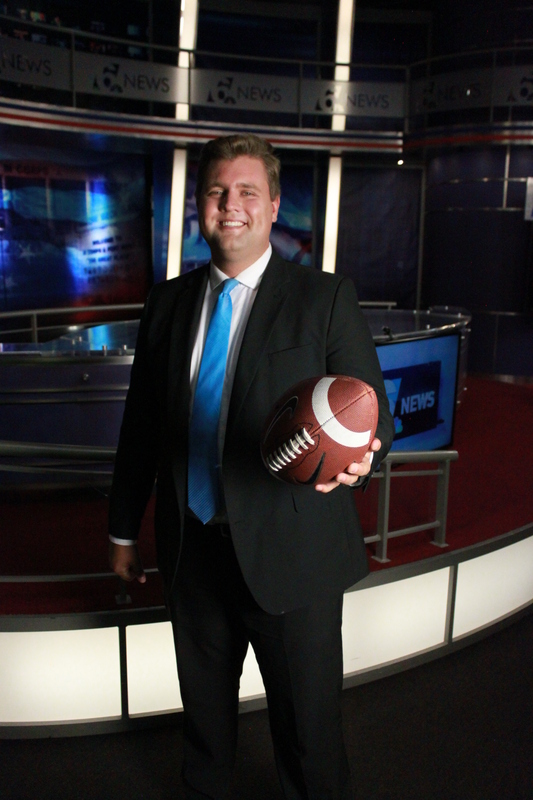 I am Kurtis Quillin and I am currently a News/Sports Reporter and fill-in sports anchor at KCEN-TV, the NBC affiliate serving the Waco/Temple/Killeen area. I started at KCEN in July 2016 after graduating from Oklahoma State University with a B.A. in Sports Media. Since then, I’ve covered stories of all kinds including a community surrounding a beloved coach with cancer, a remarkable turnaround in football at an area high school, a petition to disannex a portion of a town, the Sutherland Springs church massacre, Hurricane Harvey and more. In early 2017, I was awarded honorable mention in the Excellence in My Market Awards for a story I did in Nov. 2016 after a high school senior saved a woman’s life after her car was swept from the road during a flash flood. While a student at Oklahoma State, I anchored and reported news and sports for OStateTV, including serving as main anchor for The Poke Report. In that time, I was honored with 1st place in Sports Anchor and Sports Story at the BEA Festival of Media Arts in addition to 2nd place Sports News Program, 1st place radio play-by-play from the Oklahoma Broadcast Education Association and more. Below is my most recent demo reel and samples of my work can be found under Multimedia Samples.